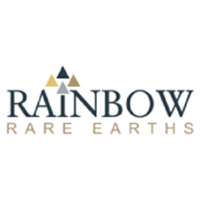 Rainbow Rare Earths Ltd (LON:RBW), the Rare Earth Element mining company, has today announced its audited results for the 12 months ended 30 June 2018. After many years of planning and preparation, 2018 was the year in which Rainbow’s Gakara operation transformed from a development project into Africa’s only producing rare earth mine. The significance of this achievement should not be underestimated. In a market dominated by Chinese producers, Rainbow is now one of only two listed rare earth mine producers outside China. The most important use of Rainbow’s rare earths is in the production of rare earth magnets, the most efficient and powerful of all the varieties available, which are used extensively in electric vehicles, smartphones, wind turbines and generators, and electronics. There is no longer any real debate around whether the demand for rare earth magnets is going to grow – the question is how quickly and how far. However, global rare earth production faces a number of challenges if it is to meet this growth in demand. Many existing mines are mature and are facing the need to improve environmental standards or invest heavily in order to stay in operation. At the same time, many projects currently in development typically have low grades of TREO at around 1-5% and require significant funding in order to commence construction. These projects often include rare earth prices well above current levels as part of their base case economic assessments. In order for these projects to become viable, one would need a significant increase in rare earth prices as a whole. Gakara is unique in a number of very important ways. At TREO levels of between 47-67%, its grades are many times higher than industry norms. This means that production can be selective, and capex kept low (to date, just over US$10 million has been spent on the project). Its operations are environmentally friendly: mining techniques rely to a large extent on manual labourers (recruited from local communities), and processing methods use minimal energy and no chemicals. The scale of the deposit is also significant – well over 1,000 instances of rare earth mineralisation have been discovered over an area of 39 km2, which points to a potentially world-class rare earth deposit, particularly in view of the exceptional grades. Since first production was announced in December 2017, the mine has begun to ramp up its production of rare earth concentrate, and has a run rate of 5,000 tonnes per annum firmly in its sights by the end of 2018. A huge amount of effort has gone into bringing the mine into production. The project has relied on the support of the Burundi government and local administrators, as well as a range of national and international suppliers, consultants and contractors. But I would like to thank our staff, without whom nothing could have been achieved, for their passion and commitment. During the current Financial Year and beyond, the strategy is to expand production by operating multiple mining areas in parallel. In addition, we have plans to develop a downstream separation capability, in order to capture more of the value of our concentrate. The co-operation agreement with TechMet Limited that was announced in August 2018 will bring real impetus to this key element of our growth strategy. Much has been achieved so far, but far more remains to be achieved if we are to unlock the value potential in this truly exceptional rare earth project. I would like to take this opportunity to thank our stakeholders for their continued support of the company and the project. Our employees remain the bedrock of the business and without their dedication and support we would not have achieved so much in such a short space of time. We are very positive about the macro outlook for rare earths and Rainbow Rare Earths is perfectly positioned to benefit from this. At this point last year I was looking forward to the commencement of Rainbow’s production and our first exports of rare earth concentrate from Burundi and I am delighted to say that the major anticipated milestones were achieved successfully and safely. Following Rainbow’s rapid development during 2017 the Company was able to raise gross proceeds of £2.80 million (US$3.75 million) in December 2017 at 14p per share, representing a 40% premium to the IPO price. These funds allowed us in particular to invest in exploration and an extensive drilling campaign in 2018, as well as advancing production. In August 2018, we were pleased to announce the signing of a co-operation agreement with TechMet Limited which will accelerate our work towards developing the capability of further processing our concentrate, in order to capture more of the downstream value. Under the terms of this agreement, TechMet will lead the work to complete a Definitive Feasibility Study (‘DFS’) for a separation process, which is intended to be owned as a Joint Venture between the two companies. The DFS will be funded exclusively by TechMet on a reimbursable carry basis. The development of a downstream processing capability has long formed a key part of our strategy to grow the profitability of the Company, by allowing us to capture more of the value from the concentrate which we mine from Gakara, and which we currently sell at a discount of approximately 70% to the published price of the individual separated rare earth oxides. TechMet also contributed US$0.5 million towards an additional equity placing of US$2.0 million announced in August 2018, which is intended to fund the development of further new mining areas in our permit area and provide additional working capital for existing operations. There have been no changes to Rainbow’s small corporate office in the UK, where I am based with Rainbow’s CFO, Jim Wynn, which keeps overheads to a minimum, whilst the vast majority of the Company’s administration and operating staff are based in Burundi. As I reported in this statement last year, in July 2017 Rainbow hosted an inauguration ceremony at Gasagwe where a formal ribbon-cutting was undertaken by the President of the Republic of Burundi, His Excellency Pierre Nkurunziza. The ceremony was well attended and we are delighted with the support we have received to date from the Burundi government and local community. All of the ore production in 2017-18 was derived from Gasagwe and as the year progressed our understanding of the deposit and the most efficient mining techniques improved consistently, which resulted in our monthly record ore production being achieved in June, the final month of the Financial Year. The nature of the vein stockwork at Gasagwe is such that we continue to reveal new veins as production continues and it is likely operations will continue there for longer than the approximate time scale of two years as estimated at the time of the IPO. In July, just after the Financial Year end, we announced that our second mining area at Murambi is planned to start operating in the fourth quarter of calendar year 2018, subject to final environmental approvals. Murambi has some very similar physical characteristics to Gasagwe in terms of the vein structure, mineralogy and, most importantly, high TREO grades. It has always been part of the Company’s strategy to be operating multiple mining faces and Murambi will be a very important source of additional ore to Gasagwe, as well as reducing the reliance on just one area to supply all of our ore. In December 2017 we were proud to announce that not only had commissioning started on our Processing Plant at Kabezi, but also that the very first tonnes of high grade concentrate had been produced and exported from Burundi. Our team can be rightfully proud of this achievement which was on time and on budget, meeting our stated target dating from the IPO of first production before the end of 2017. The Kabezi plant is located some 20km from the mining areas and about 13km south of Burundi’s capital city, Bujumbura. This site is advantageous to Rainbow, being relatively flat because of its location near Lake Tanganyika, and due to its proximity to a main asphalt road, which provides good transportation links for the export of concentrate. Ore from the mining areas is crushed and screened into different size fractions before gravity separation via a jig or shaking tables is used to concentrate the feed into high grade TREO material. A final crushing circuit ensures that the concentrate to be exported is of a uniform size. As mentioned previously, we have deliberately built in a relatively large amount of volume capacity within the processing plant design, which should enable Rainbow to comfortably increase annual production of concentrate in years to come without any significant capital expenditure when new mining areas come on stream. As mentioned above, the first 25 tonnes of our high grade rare earth concentrate were produced and exported in December 2017 and by the end of the Financial Year we had produced and exported a total of 575 tonnes, of which 475 tonnes were sold by 30 June 2018. Our concentrate is initially trucked to port on the East African coast and we sell at port to our trading partner, thyssenkrupp Materials Trading GmbH (‘TK’ or ‘thyssenkrupp’), and it is the TK team which identifies, negotiates with and sells to the eventual consumers of our material. We have been very pleased with our relationship with TK and it has been a pleasure working with them. All of our 475 tonnes sold in the Financial Year were taken by two cornerstone customers with potential for much higher levels of demand as our production levels increase and we have been pleased with the feedback we have received thus far. At the time of its IPO in January 2017, Rainbow was different to ‘normal’ mining juniors, in that it raised funds for production development without a Resource calculation and, even more unusually, without a single drill hole having been completed. We have made a great deal of progress over the past year addressing both of these unusual factors. In late 2017 Rainbow announced the results of both an airborne magnetic survey of the entire Exploration Licence area and a ground based gravity survey at Kiyenzi which highlighted a number of highly prospective drill targets. In early 2018 Rainbow undertook its ‘Phase 1’ drilling campaign, which focused on Kiyenzi and a number of the airborne anomalies. The results from the Kiyenzi drilling announced in April and June 2018 were very positive, indicating extensive rare earth mineralisation in a ‘breccia’ formation which is likely to be contained in a much more dispersed area than the narrow veins at Gasagwe and Murambi, for example, and therefore could be more suited to mechanical extraction. The bulk of Rainbow’s ‘Phase 2’ drilling campaign took place throughout July and August 2018 and at the time these words go to press we are looking forward to publication of our maiden code-compliant resource in the fourth quarter of 2018. Rainbow now has a significant corporate presence in Burundi and we take great care to meet all of our legal and social obligations. We include local communities in all our activities, whether holding public consultations well in advance of undertaking work on the ground, ensuring that our workforce is sourced locally, or, wherever possible, using Burundian contracting companies for elements of construction and ore transportation. At the end of the 2017-18 financial year, Rainbow employed 157 Burundians permanently, and a further 108 on temporary contracts and 121 sub-contractors on specific projects such as construction. Various sub-contractors are also directly influenced by Rainbow’s activities and supply services such as catering, trucking, security and domestic workers. Rainbow seeks to minimise the number of ex-patriot staff it employs and is actively focused on ‘skills transfer’ so that local employees can develop the skills and experience necessary to take on senior roles within Rainbow in the years to come. We have already granted 3 permanent roles to young Burundians who originally joined Rainbow on short internships. Outside our Kabezi plant we have erected a fresh water tank which is consistently replenished from Rainbow’s bore hole. We estimate that approximately 20,000 litres per day of fresh water is supplied in this way to the community, including to the local hospital, which benefits hundreds of people in the Kabezi area. Another project we are proud to support is a business which removes the fine waste tailings from our Kabezi plant and using local labour then manufactures bricks, some of which Rainbow has purchased for its own construction activities. Wherever land is appropriated for Rainbow’s exploration or mining activities, we are diligent in ensuring that the correct compensation is paid to all families that have an interest in land or crops affected, based on a formula set out in Burundian law. Rainbow is proud to maintain an objective for a zero-harm operation. For the period to 30 June 2018 the Company did not incur a single LTI, and exceeded over 1 LTI-free million hours since the start of operations. Our staff are encouraged to report all incidents and ‘near misses’ in order to improve the safety environment for anyone that may be affected by Rainbow’s operations. Very little has changed regarding the fundamentals of the rare earth market in the past year. World demand continues to increase, particularly due to increased production of electric vehicles which require rare earth magnets, and concurrent to this, there is minimal new supply entering the market in the short term, with a large number of potential mines around the world still seeking financing (which we believe will require a significant increase in rare earth prices) which must then be followed by construction. As an existing producer of material with rapidly increasing production levels in the near term, Rainbow is already perfectly positioned to benefit from any short term tightening of global supply. Rare earth production and processing is still dominated by China, although a number of forecasts are now suggesting that China will be a net importer of rare earths material within five to seven years. Rainbow’s location outside of China may also be strategically beneficial to rare earth consumers looking for alternative sources of supply, particularly if the global market in the coming years is affected by some of the trade tariffs and restrictions recently announced by the United States and China. It continues to be a part of Rainbow’s core strategy to investigate the options for processing its own concentrate into higher value downstream products and the TechMet co-operation agreement announced in August 2018 will help to accelerate this objective. Our core team has remained unchanged throughout the past year and I would like to pay particular thanks to Rainbow’s Executive Committee: Gilbert Midende (General Manager), Braam Jankowitz (Project Manager), Cesare Morelli (Technical Director) and Jim Wynn (Chief Financial Officer) whose commitment and professionalism has allowed Rainbow to deliver so much in a very short space of time, however I am grateful to all our employees for the hard work and dedication they show every day. I am proud but also incredibly fortunate to have such a team. The current financial year will continue to see us increase production on a monthly basis as we target a concentrate production run rate of around 400tpm at the end of calendar year 2018. In the next few months we expect to see our second mining area at Murambi delivering ore alongside Gasagwe and to see the publication of Rainbow’s maiden code-compliant Resource calculation following the ‘Phase 2’ drilling at Kiyenzi. Rare earth prices have remained relatively stable thus far in 2018, however as mentioned above I believe that the market dynamics are such that prices may be driven significantly upwards at any time and as a Company we look forward to delivering our high quality product into that market.